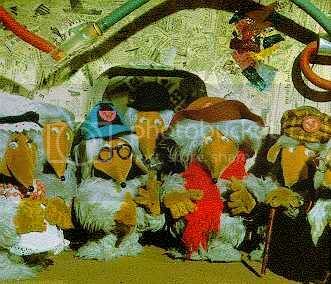 Underground, overground wombling free, the wombles of Wimbledon… - Bee burps! Underground, overground wombling free, the wombles of Wimbledon common are we, making good use of the things that we find, the things that they everyday folk leave behind. So it's finally happened I have lot it. YAY!!!! and you mean lost it? nah..just call it temporary insanity. Wombles rock!!! I think it may be a permanent insanity though. You've never seen the wombles? Dude it was the first slash ever! Come on Orinoco and Bungo, lot of action going on there!! !